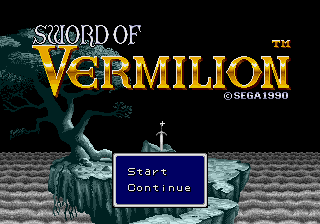 Sword of Vermilion is an action role playing game for the Sega Genesis. 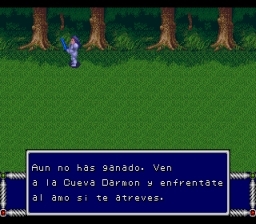 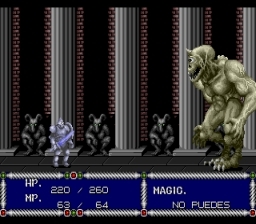 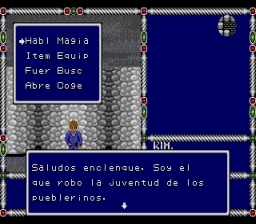 Spanish translation for the game “Sword of Vermilion” for Sega Genesis/Megadrive. 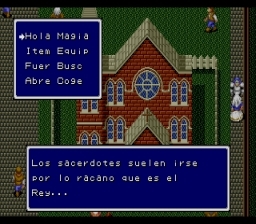 It translates most of the game’s text but no Spanish punctuation symbols could be added due to graphics compression.